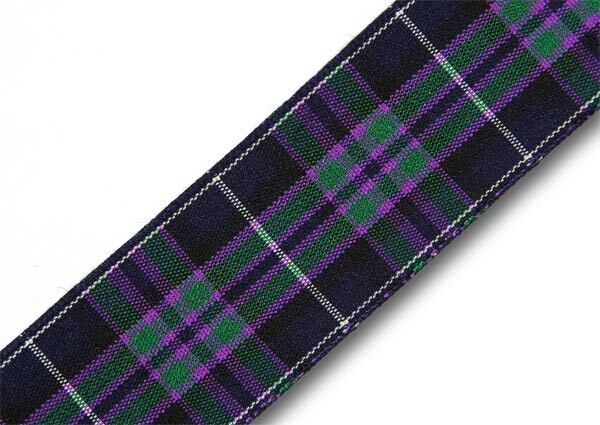 Purple tartan ribbon is extremely popular but we we appreciate that many customers, perhaps unfamiliar with tartan names, may search for tartan ribbon by colour so please use the links below for tartan ribbon based on Purple shades. This list is not exhaustive so please explore the tartans on the buttons listed to the left, but here are the most obvious suggestions . 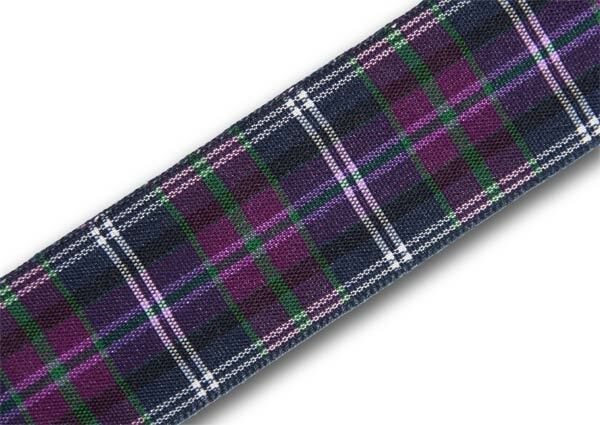 . .
An excellent tartan in its own right, but also used as an extremely close alternative to many modern commercial tartans including Spirit of Bannockburn, Spirit of Scotland, Scotland Forever, Scotland's Heritage, Scotland The Brave, Pride of Scotland and many more. 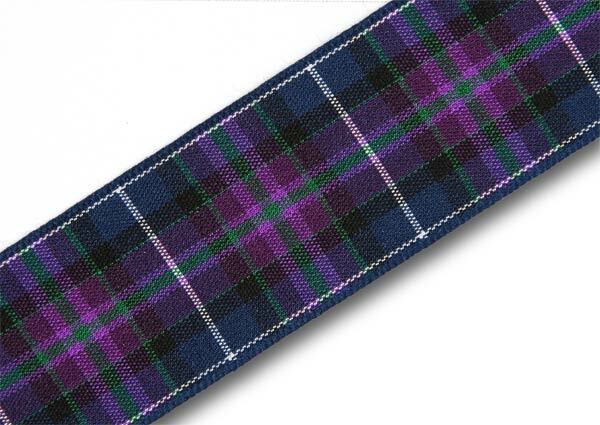 A modern tartan, produced by McCalls Highlandwear for the hire market. A variation of the Pride of Scotland (Modern) tartan, with more green in the check that the original version.